It’s been just over a year since I unleashed this space on the world. I’ve been blogging for almost two decades in various guises, right from the live journal days and the days when you just wrote a daily diary. But towards the end of 2016 after making some major changes in my life I decided that I wanted to document my passion for travel – to write for people just like me. For people in their thirties who hold down complex busy jobs and have loads of commitments but who want an adventure every day. I wanted to have an adventure every day, and I thought blogging about them would lead to more spontaneity, excitement and travel. What I didn’t realise is that it would lead to so much more. Here are my travel blogger reflections. This seems obvious, but writing about travel really has made me travel more. I’m reading more travel content than ever before, and starting to find my place in the travel blogging landscape which is leading me to travel hard and often. In fact, last year I managed to travel to 14 cities across the UK and Europe, as well as explore more of my home city, London. I’ve been finding genius new ways to fit travel around my day job, including day trips on the Eurostar to Brussels and Lille and I’ve been figuring out that food is probably the most important part of any trip. I’ve explored places more deeply – I’ve always been a huge geek, but planning to write about places has made me delve much more into the history and culture of a destination than ever before. But pushing myself to travel more has been a double edged sword. I love that I almost have an excuse now to travel on a whim, and no one bats an eyelid. But 2017 left me exhausted. I was a bit burnt out and I took it much more slowly in the last three months of the year so as not to kill my passions for ever. I have a bit of an addictive personality, it’s been that way with every hobby that’s been left by the wayside. So I’ve definitely been working carefully to manage that aspect of my life! At the beginning of last year, I wrote about adventure becoming my word for 2017. It’s become way more than that – it’s become a part of my DNA, and that’s because of the community and the influences that are now on my life as a new travel blogger. I think travelling a lot is pretty adventurous, but aside from challenging myself to a woman v food style mission in every city I land in, I feel like I’ve done some pretty spontaneous, adventurous stuff this year! I finally travelled solo to a city I loved, inspired mainly by my new pal Beverley. I ate alone, I wandered the quiet backstreets and despite my misgivings I loved every single moment of my trip. I hopped on a plane to Amsterdam to meet some strangers off the internet for a weekend break and it was a true highlight of my year. I can’t wait for more adventures in 2018. Perhaps one of the more negative aspects of becoming a travel blogger has been opening myself up to be bombarded with images that impact my self esteem. As a blogger with over 19 years pedigree in one form or another, I’ve largely managed to avoid the fashion/beauty blogging scene which could impact my feelings of self worth. I unfollowed so many fitness account on instagram as I stuffed chip after chip into my mouth. But the travel blogger aesthetic started to become a thing I couldn’t avoid. The bikini shot on a deserted beach, image after image of perfectly tanned blonde white women dominating my feeds. Travel blogging felt like a young woman’s game, and I wondered where my out of shape, mid-thirties face would fit. I stopped showing my face in travel photos. It made me sad. I wrote a cathartic post about body shape and travel, mainly to try and explain to myself how I was feeling. I haven’t really gotten much fitter since then, but I have taken negative imagery out of my life and realised I have so much to offer, even if my aesthetic is more “full of cheese”. Most of my close friends are actually those I’ve met via or because of the internet. I met my best friend on a podcast (how millenial), and the online friendships flowed from there. But it’s been incredible to make new friends who share a passion for travel that rivals mine. That can take a million pictures of brunch and not be bored, that can pose for ages in front of cool street art and that you can chat to about travel and travel blogging and life and the universe and everything. As I mentioned, I even went on a trip with two strangers off the internet and I’m forever grateful to Sophie Cliff and Beverley Reinemann for taking a chance on me because I had the best weekend. t’s just a shame they live in Leeds, but that gives me more excuses to travel to see them! 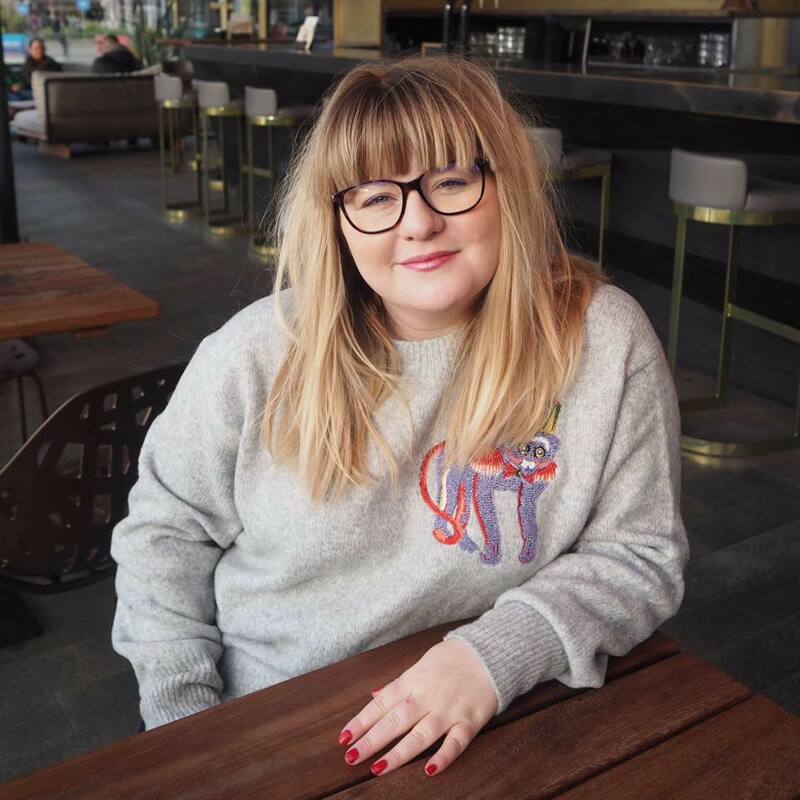 In London, I’ve found my blogging/travel/life soulmate in Lucy Sheref – she has been happy to invite me into her gorgeous family and coach me through this new blogging world over wine or brunch or anything in-between. I can’t wait to spend more time with her plotting schemes and gossiping and cuddling her gorgeous daughter. Dramatic? Maybe a little, but when I started this space on the internet, another travel blog in a sea of blogs by exceptional writers and photographers and digital nomads and full time travellers I didn’t know it was just what I needed. In mid-2016 after much soul searching I took a step sideways in my career, stepping off the treadmill of stress and long hours and emotional trauma and more. I didn’t realise how toxic my work culture had become until I travelled to Oslo, and I wrote about how my life feels like I am making up for lost time. This step to a different type of work, to a different style help me to create a new life for myself – with new hobbies I never had the time for, and more passion and fulfilment every day. I was able to make travel and adventure the priority in my life for the first time and it has completely changed how I view the world. Perhaps I would have done that without travel blogging, but I don’t know – it’s been the driving force and inspiration for living the life I always wanted to. *some of the photos in this post were taken by the wonderful Beverley from Pack Your Passport.